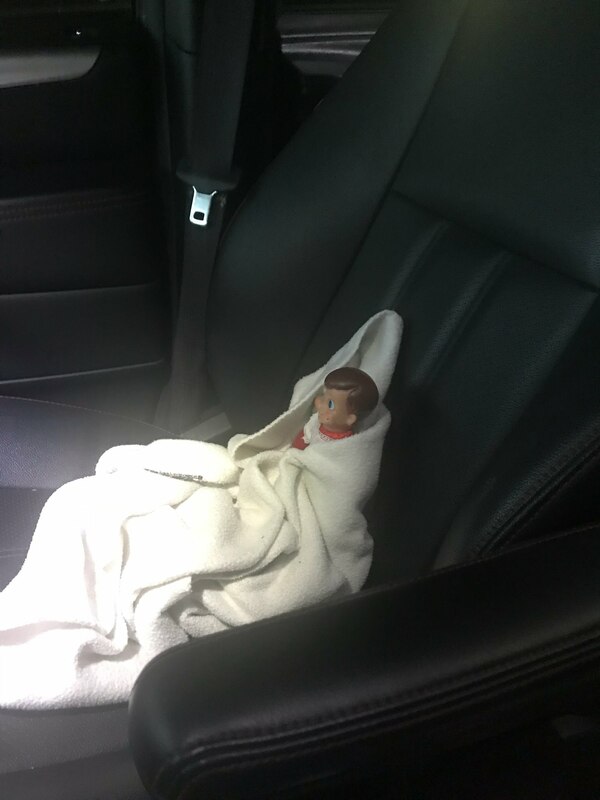 Jenn Thelen woke up to the sound of her 7-year-old daughter, Aubrie, screaming. 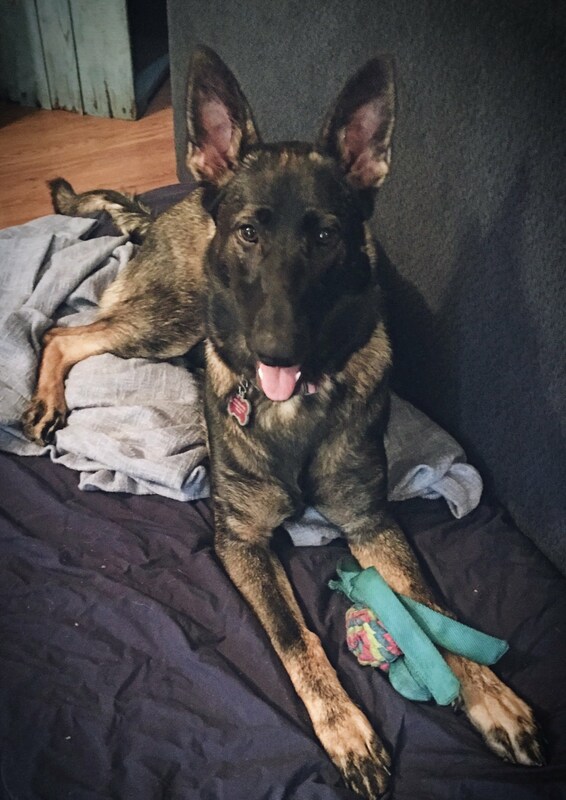 Their German Shephard, Zoey, had attacked the family’s Elf on the Shelf, Sam. Jenn is the nurse manager for the emergency department at Arnold Palmer Hospital for Children in Orlando, FL. 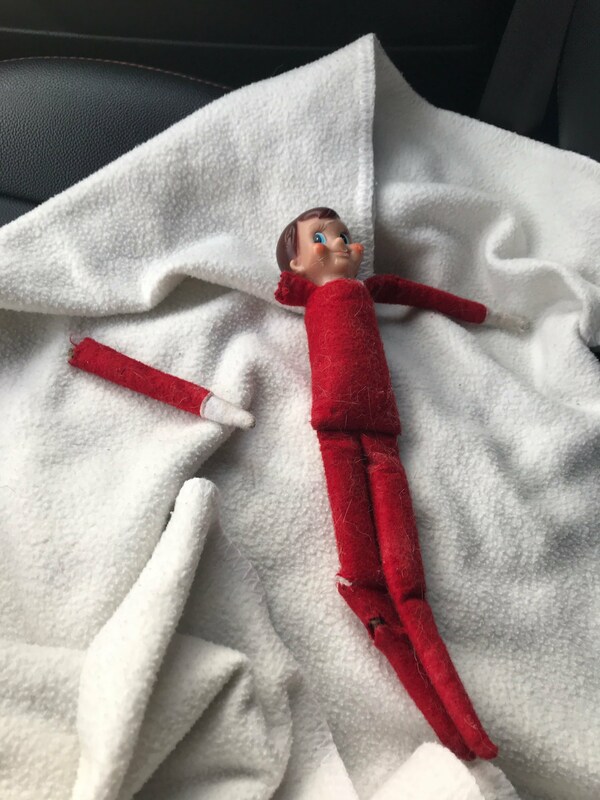 She told her daughter not to worry, because Arnold Palmer Hospital has the best medical team and they had “special doctors” that could fix her elf’s injuries. 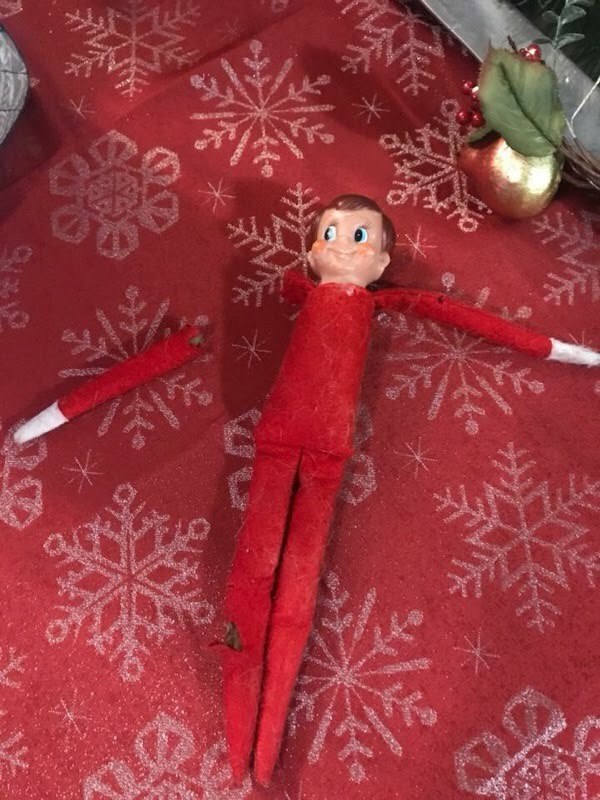 They could put him back together in no time. 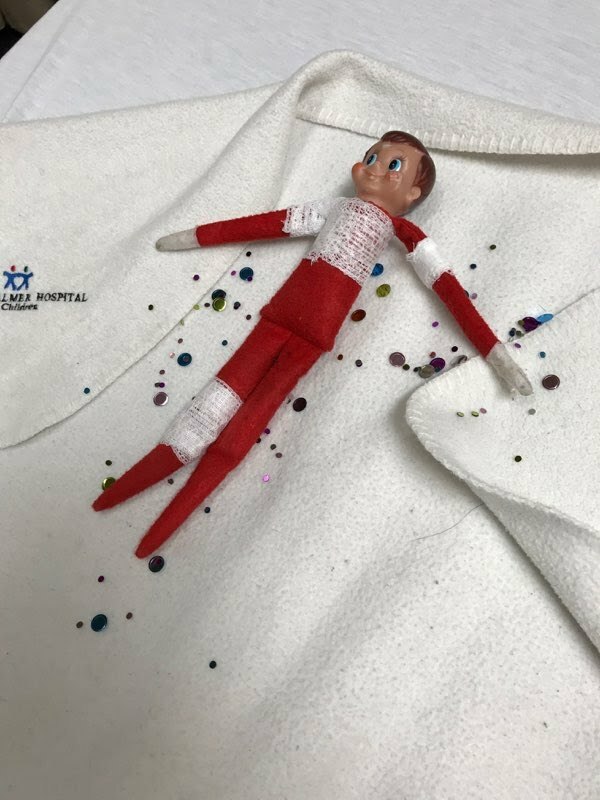 Jenn took Sam with her to work that morning, and after careful planning the medical team wheeled him into the trauma bay. 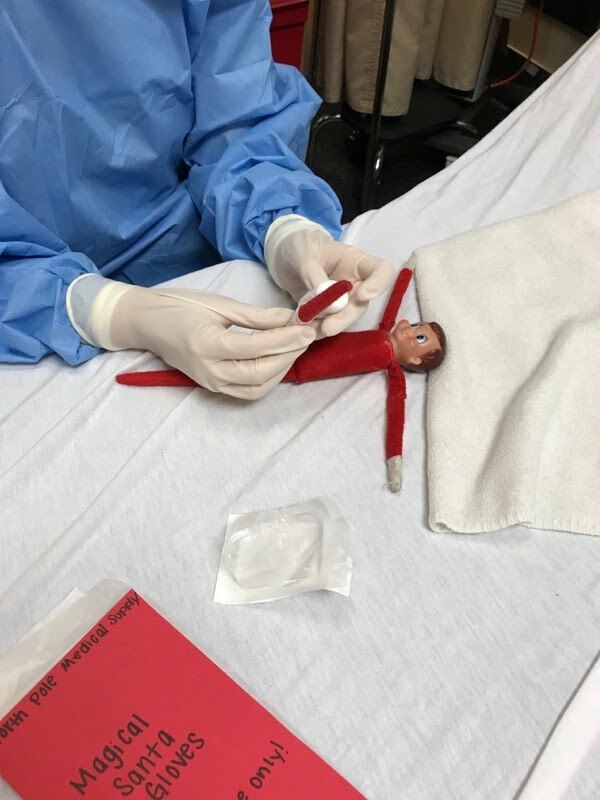 The team used expired medical products to work on the elf, and even used a special pair of Santa’s magic gloves. 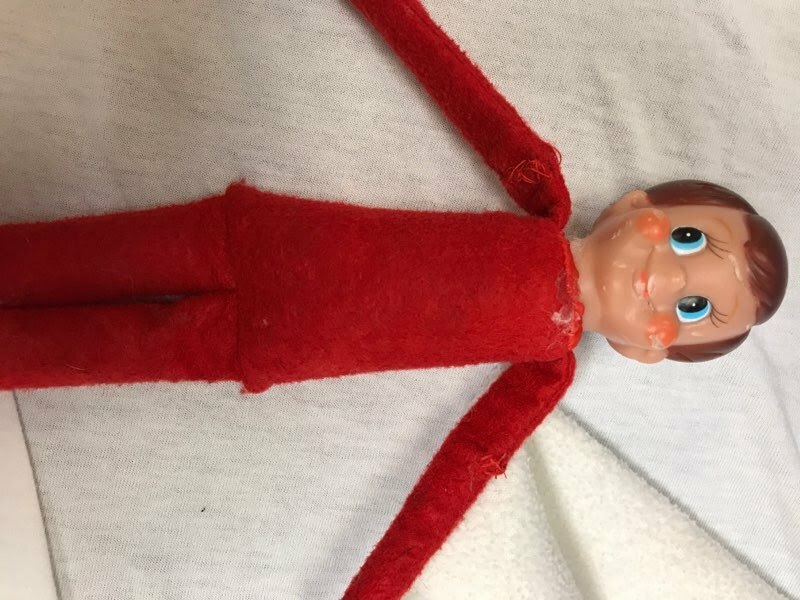 Aubrie knew that the elf could not be touched but Jenn told her that the “magic gloves” would allow the team to work on Sam. 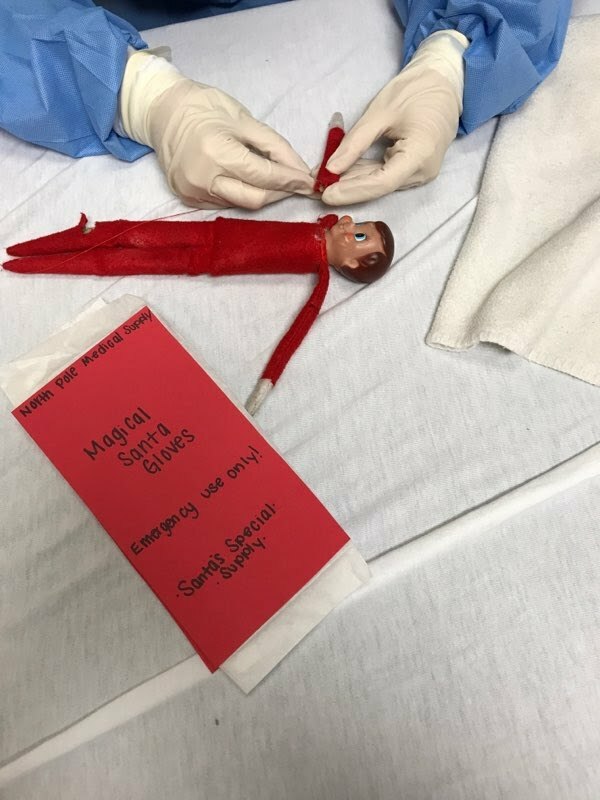 One of our ER team members, Ashley, carefully put Sam back together again and bandaged his injuries all up. She even sprinkled some Christmas magic (glitter) on Sam when she was done. Sam was able to go home to Aubrie later that evening. Jenn showed her all the videos and pictures of Sam’s day at the Arnold Palmer Hospital ER. The magic of Christmas and Sam the Elf continues for Aubrie. 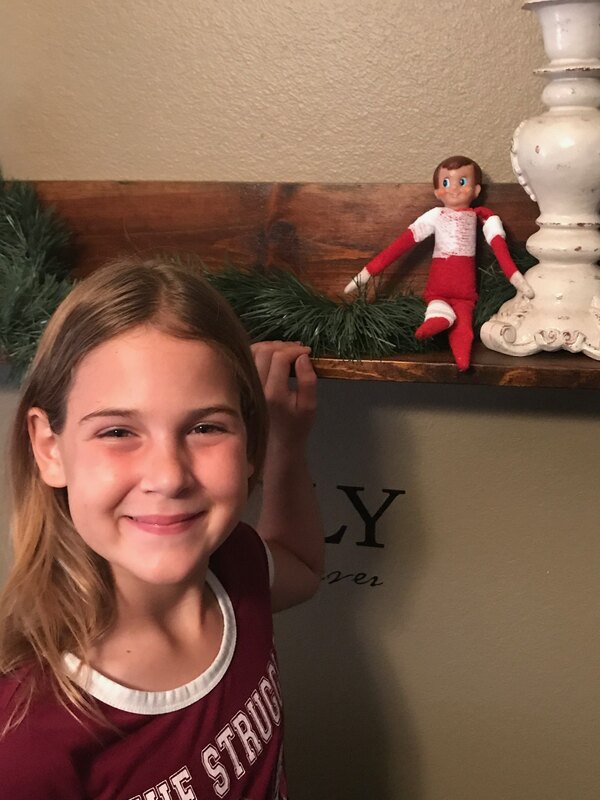 Sam is now back on his shelf and mom will definitely make sure that he is out of Zoey’s reach.